Director and Screenwriter Emer Reynolds. Camera (color, widescreen, HD): Kate McCullough. Editor: Tony Cranstoun. Music: Ray Harman. Duration 2hrs 1min. Genre. Film feature Documentary. Completed 2016. Ireland. Rating PG. 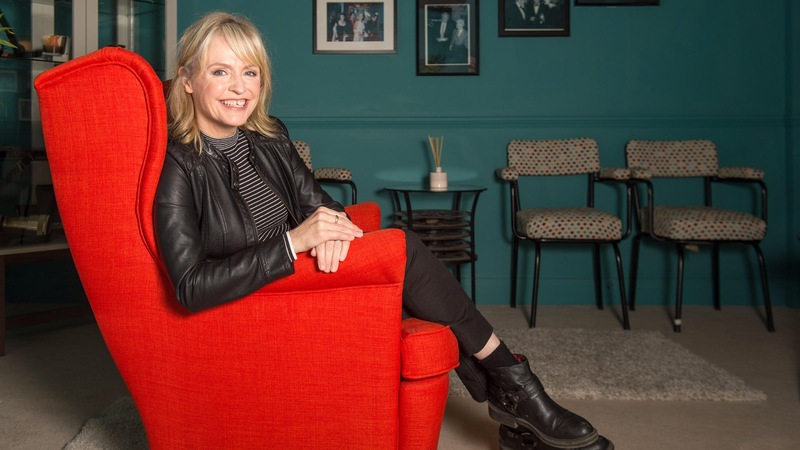 A Crossing the Line production, in association with HHMI Tangled Bank Studios, The Irish Film Board/Bord Scannán Na héireann, in co-production with ZDF, in cooperation with Arte, BBC, RTE, PBS. Distributed by Abramorama. Producer: John Murray, Clare Stronge. Executive producers: John Rubin, Keith Potter, Sean B. Carroll, Dennis Liu. How do you tell a complex story? This film achieves it by following the most precious measure of all. Time. They do it chronologically. From the launch within two weeks of each other in August 1977 to today forty years of knowledge has been accumulated giving us insights and tools needed to survive. 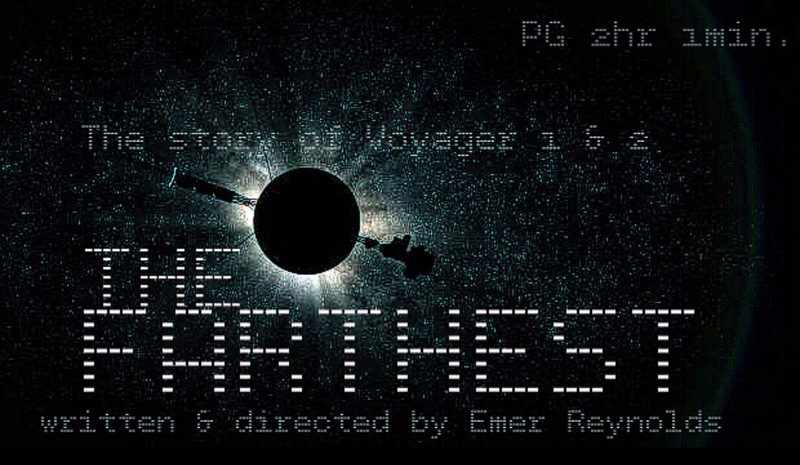 In providing an extraordinary and educational insight to the Voyager Missions, the Irish Writer, Director, Emer Reynolds propels the viewer through an array of adventures in space, planet to planet. It is the story of Voyager 1 which set off second to Voyager 2 and soon went by its slower less functional twin, into our Solar system, setting a course for the Planets in a mission, confined in planning, to visit with no stopover, Jupiter, Saturn but by the technical and intellectual thrust of the missions authors and controllers, succeeded in going on further with some deft reprogramming to Uranus and onward to the 4th gas planet Neptune. 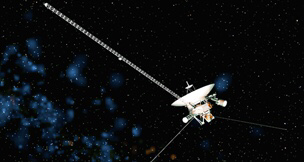 Voyager 1 apparently is 12 billion miles away currently though you would need to check with NASA to be accurate. Each journey on flight was a discovery beyond the NASA teams wildest expectations. Even now in this film the achievement is under appreciated. The team participants – descriptions, titles of their respective roles are displayed, are telling the story in screened interviews, talking heads with brains planet size, while often emoting humuorously with visually amazement of what in meant and now means. Eyes are popping in aghast of some telling a story. 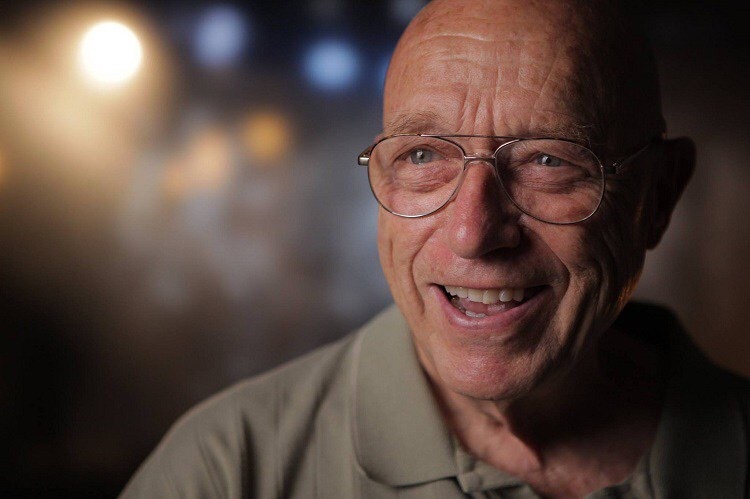 On “The Farthest” Emer Reynolds explains: “We wanted to speak to a general audience, not just super science geeks like myself.” It is enhanced by his structure, honed while writing it and the steady intuitive grace of Kate McCullough’s excellent cinematography. As you might imagine the photography at cinema screen 4K interpolated, from 2K is stacked full of outstanding display of the NASA images. We see a computer – like Excel infant – table frequently and it looks like a child’s bookmark. The layout is 1. A box with a picture in it. Top tag header is VG1 and across Saturn or whichever it relates to. Beside that image 2. are two small boxes one on top of the other giving a ‘wav’ – radio wavelength file – of the incoming signals which are transported to the first box as images. This is rudimentary but this is what we or the boffins/brains in Building 102 gets back from that distant small object which punches out extrodinary visions which are packed full of information it will take years to analyse wth much future help expected via. AI. The last photographic signals we know that will come from Voyager are back here on earth. 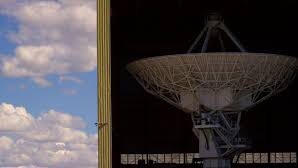 The vessel carries on with radio signals returning information of it going ever more distant at a speed of 10 miles per second through interstellar space. Going Farthest. The science is laid out here in a layman terms but you require and are pulled into it by the – if you had been paying attention to the story so far – the what happens next fix. Jeopardy exists everywhere. In the beginning was a Government, in the beginning there was a budget. Then they had to recruit the best minds to build it from its concept, inception, a vessel with three enormous arms that would unfold once through the Asteroid belt, like a lotus flower exploring the sky and seeking its life from beneath in the mineral mix of its own body and payload – the Human representing the nutrients – to the light it engages with as energy for the Sun our own life source. The vessel is like a brain and inside it is what is called the Golden Record. This gets a lot of airtime and coverage mainly due to the fact journalists and non-geeks love to know how Johnny Be Good will be accepted and appreciated in the far of extra-terrestrial zone Voyager ventures into. It is literally a half speed long playing record with boxed alongside a stylus and IKEA kit diagram of operating instructions without words. In order that we keep with the complexity, as the film continues, short paragraphs appear and extend, dissolve as something needs clarified in the written word. The big picture paragraphs the author has highlighted above the spoken word. When the unexplained happens language requires stillness and read. There are no excuses or reasons why this film cannot fill the void of knowledge of non-geeks as those who have been ask to put their own words to their part of it advance thoughts which have been gathere, been dissected, altered and polished in their heads for forty odd years. It is full of stimulating beautiful phraseology and delivered with enormous gravitas while being so matter of fact about it which it clearly emphatically is. To any alien species Voyager could seem like, it is just a container of entrails, maybe of a body the vessel itself might seem only the outer form of an inner wonder. It is animal like though one scientist will not allow himself to anthropomorphise the Voyagers 1 and 2. 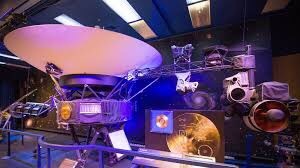 Maybe the ‘encountered’ will have destroyed Voyager 1 as it is taken to be itself alien. Then in its coat tails along comes another. 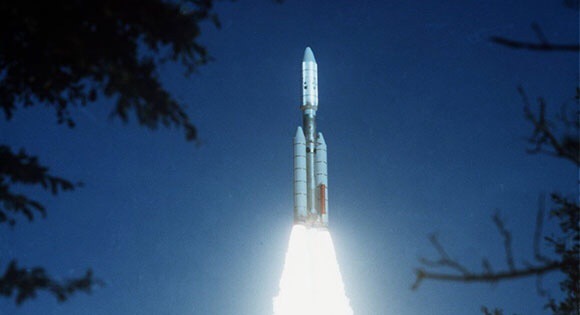 Voyager 2 which ‘they/it’ we haven’t been introduced properly, might be less antagonistic to Craft 2 and take it for what it is – a vessel of minerals constructed and assembled of the earths finest skills, put together back in 1977 symbolic of our progress since inhabiting the earth. The Golden Record is an ambiguous pictorial and written record. Not available through Amazon or other outlets. It is unlikely it contains war or weaponry photos though one photograph is of a human stalking an animal with a spear. No images of the Gamehunter slaying a tiger or Elephant form the back of a Land Rover Discovery or other SUV on their holidays. Only one quote will go down here in this review – and only part – ‘if they even have heads!’ which obviously is regarding the unknown destiny. 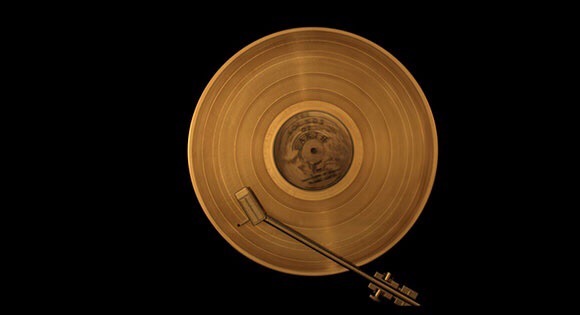 The Golden Record is our message apparently of our place in the universe diagrammatically configured with the known universe laid out in a linear diagram. It is this composition of Earths minerals and knowledge which will travel beyond our time and earths time into the interstellar universe of possibilities. As the naysayers preceding Galileo/Copernicus’s theories may have had it, requiring modification of the Bible. (Galileo Galilei) 1564–1642, the Italian physicist only partially solved the solar systems behaviours. 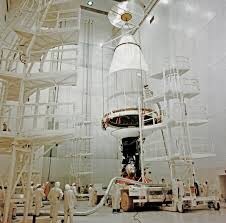 Voyager on the other hand could come to the crunch as it hits a wall of termination and its progress it halted with the unknown on the other side multiples of billions, trillions, in a world away outside our Solar system. Quantum physics tells us Neutrons pass through us and the globe is transmutable while the electron exchanges we only glimpse, possess us in our temporality. They engage and construct us and we are each separate assemblies of their manifestations. Much is given over in the film to the reasoning and compilation of this and many conjectures, as it is the missions task to learn and then inform of our limited time as a planet. 5 million years left! 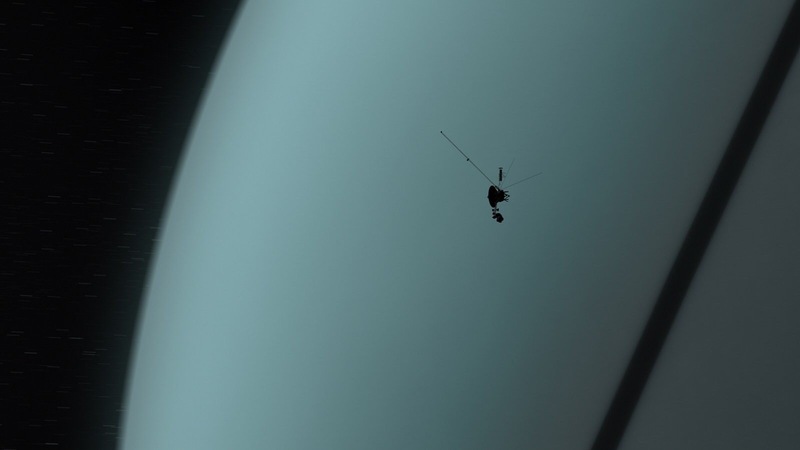 Voyagers power is tiny in comparison to the surrounding atmospheres. The reach of its plutonium powered lights are on a trajectory taking it further than the 2 billion miles, 3 billion at Neptune, it has put between us and its current location. Outer outer space is where it has gone. That is known as the interstellar cosmos. As Galileo once redefined our vision, so this tiny Voyager full of the modern technology available in April 1977, is on a mysterious journey. It is the mysterious traveller those wonderkids of the seventies thought would provide new possibilities they Part imagined and described as of the infinite kind. The achievement went to the boundaries of their dreams and beyond their expectations of its capacity to enlighten. Light is emitted from the battery but the darkness it enters is dense and un-encountered and it no longer is live. Part of the understanding developed with Big Bang theory is that everything has Big energy (dark matter) passing through it. Neutrons bouncing through us and everything else. The darkness of space is an energy unknown but ultimately our survival is reliant – other than the human self-destruct button of climate and a habitable world being activated – appears as a possibility of being in reach of accessing its mystery. Voyager is this composition of Earths minerals and knowledge which will travel beyond our time and earths time into the universe of possibilities. All 735kg approx of it. Its progress if not halted with the unknown on the other side multiples of billions, trillions, of a world away outside our universe it could inform again. The intuition of it recalibratingbis already charted. For humans to conceptualists the earth there has been scientists such as the late, unique and contributing scientist, Carl Sagan. His son is a frequent visitor and contributor to the story telling. His contexturalisation of what we see is the most convincing made and does not tolerate high blown speculation. 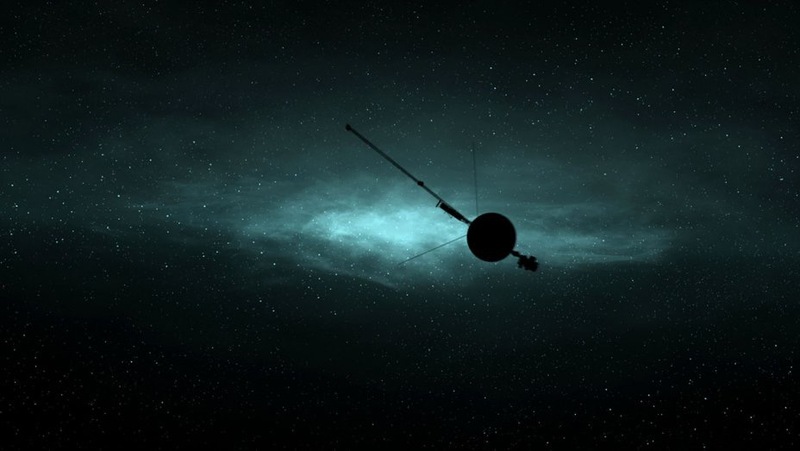 The scientists insist frequently that the Voyagers will be the only record of us beyond our extinction. They have set up an experiment to find out the composition of the nearest gas planets and then find themselves looking at the bigger philosophical questions to fill the outskirts of their mind. The talk of sling shots, meaning mathematical continuance of the voyage, was decided upon by careful planning. Each trajectory is explained in detail with never imaged results we can access through this film. Yet it is on to the next discovery. Each scientist explains and though the press conferences at each ‘staging’ post for public consumption is populated it seems, by mainly if not exclusively, men whereas the imbalance is treated by Emer Reynolds in the inclusion of very well informed women whose life work this also is. Imagining Science is an institute contributing and currently relaying information openly about the mission and while the journey goes on the small in the big gets smaller as more miles are travelled. The Voyager mission was constructed by Caltech Engineering and Applied Science Department of Aerospace (GALCIT) with the context of origami a filed attribute. Based in Pasadena California – where two weeks ago the indomitable and beautiful human in her 84th year, Julie Newar attended her Catcon 2017 ahead of her birthday – as sublime as ever. She never made it as an image onto the spacecraft so remains hidden. That is the history post Homers Odyssey of time travel with a return in mind of a feline leveller of our naivety played for laughs and adventure escapism. After lift off and landing on the moon another generation of escape was projected onto screens but none so realistic or measured as what this film documentary delivers, even if it is only on the flat fourth wall. This object, as google will tell you, is The Voyager spacecraft weight, including hydrazine, at launch was 815 kg or about 1797 pounds. It was almost the weight and size of a sub-compact car. The current approximate weight of Voyager 1 is 733 kg and Voyager 2 is 735 kg. This was launched with the computer power of a car key fob and before the internet on which you can see the stars projected to your LED lit screen form NASAs data. On the Golden Record their is one side of music. A collection made within six weeks of launch comprises recordings from such diverse places as Zaire, India, Mexico, China, Japan, and an Indian raga from native America one of many. On the space shuttle set up using decommissioned ballistic missiles, the film shows the words United States of America as a tiered advert for earth consumption. After the asteroid belt this is thankfully gone. Maybe a small Stars and Stripes lurks on the body of the craft. A message might have come back – What does United mean? – otherwise. Voyager has a brain and is minded to correct anomalies. When perplexed at its own behaviors it goes back to the manual, the data programmed within it which has failsafes and parameters and extraneous what devices built in. It is more reliable than our own manual the Bible and contains only logical prognosis. Metaphor is out. By doing a reset it has survived numerous times. When launched it literally had birth pains as it – didn’t enter the world but entered space. If you imagine sitting on the outside of Voyager what you would se would be changing infinitely. If you looked then at what you were sitting on as a reference point it would be the familiar and static. The spacecraft itself and its unavoidable familiarity. Space cannot be weighed and densities are gravitational forces we cannot see or gauge in space yet Voyager is clean and clear of collision simply because of the unlikelihood of it ever colliding with any ‘thing’. What is realisable is that in, as one scientist puts it the chances of a collision are fifty years of a billion years, the chance of collision amounts to just that. Latin speaks otherwise. Tempus Edac Rerum – Time devours all things. The revelations from incoming data has put into visual context and most ‘gratifyingly’ reaffirms that all our known minerals exist in space. What is also very apparent is that they obey in kind, gravitational forces. In two for example : The Great Red Spot is a persistent zone of high pressure, producing an anticyclonic storm on the planet Jupiter, 22° south of the equator. It has been continuously observed for 187 years, since 1830. Also it conforms to a circular gravitas as an amorphous cloud of greater density as does the other clear example, making it no coincidence, the Great White Spot, also known as Great White Oval, on Saturn, named by analogy to Jupiter’s Great Red Spot, are periodic storms that are large enough to be visible by telescope from Earth by their characteristic white appearance. The spots can be several thousands of kilometers wide. The Cassini orbiter was able to track the 2010-2011 instance of the storm, also known as the Northern Electrostatic Disturbance because of an increase in radio and plasma interference, or the Great Springtime Storm. What is read into that is our connectivity and when Carl Sagan asked as Voyager 1 was about to go beyond – to + 0.00.00 our time, and penetrate the globule which surrounds us and every gas planet a request to turn the camera around and position the spacecraft in a location to look back at the entire distance of its journey. When it was initially rejected by the Jet Propulsion Agency for one, he went as far as he could to achieve that and did. What is shown is extremely and of the most significant image probably ever taken. A selfie of ourselves as a planet n space. Then it left the globe of atmosphere the our universe exists in and continued as a straight line not like a mouse, (very short sighted, see Nature.com Through the eyes of a mouse) Voyager goes blind into space without hugging the skirting around the big room, it carries on with faith in the humanity that propelled it in a straight unfettered and unending line. When it reaches a border and is asked Where do you think your going? it will have some time working out how to to reply. Emer Reynolds. Juis sui en RockStar Writer Director. 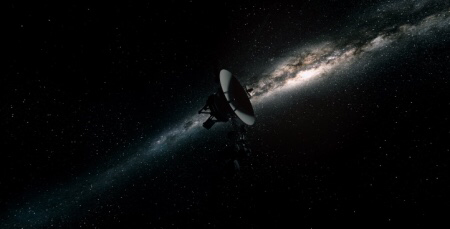 Space is spectacular and it is Voyager 1- 2 that conveys new discoveries of that wonder, all from the vessels trailing through space at 10 miles per second. Seeing this enormous subject in a Cinema adds a vital level of understanding. Even then the images are only shorthand for reality. Only around 735 kg, these craft are continuing now, on their own, with 2 trailing way behind. As there is no clue so far, movie discusses, we don’t know if we are ‘alone’ in the universe and if anything exists in a time experience – back to that great utterance – ‘even if they have heads’ in the pathway of it on a fantastic journey which is described beautifully with an easy to follow chronological narrative. It is told by the people who put the mission together and those who maintain contact and analysis of it speaking back to us. I described how the data arrives, the grid ‘Excel’ like boxes and the narrative it tells is from simple zeros and ones interpreted by spectroscopes and out come images in astounding detail of the composition of the Gas planets it has encountered. The majesty of a human constructed instrument, which if alien life encountered seems now more like a foreign object – an animal with eyes, the cameras tilting 26 and 200mm lenses on their arm, the plutonium charger which is the heartbeat and energy source and the strange antenna which talks back to the folk at home. It is a spectacularly effective insight to our world and Solar system. The film is relaying – ‘special effects’ get a credit – projections of space travel but the vast majority of the film involves telling the story through contemporaneous images of the assembly, launch, public updates and the teams descriptions of what it all means at least potentially. The special effects utilised – it is so smooth an edit – are where I think the fly by digitally generated flights, which come in over the top of the frame and sail sublimely into an ocean of stars with the Voyager seen clearly with its unmoving unshifting composite self , travelling as that mysterious traveller obedient to its final instruction in finding, orbiting, the planets, instructed from within, then setting a new course to another, to the point where it goes beyond the globe protection of the planet Neptune. That point is where all presence of it diminishes. It is there now in another vast space journeying in a straight line for possibly (in terms of) billions of years. The other factor informing theory is the formation of this expanding universe. The talk of black holes at the formation of ‘multi-verse’ cosmos has an ‘event horizon’ commonly interpreted – at the boundary around a black hole on and within which no matter or radiation can escape. Where the beginning and end is is unknown and even the question of them being the same point is what the film explores as a philosophical aspect of these discoveries. For thousands of years the conjectures have been gathered by Astrologers informing our lives. I have put a footnote which I hope expresses a nod to the ancient mariners of the Stars who stimulated all these participates interest in their own valued exploration. Our knowledge is being acquired at a very fast rate. One hundred years of information and discovery in the 20th century is equivalent to the acquisition of the same quantity/qualities ty of discoveries made in as little as 12 years or even less. That is to say what was learnt in 100 years is now learnt in a tenth of that period and that is also being compressed. The time it takes to discover things is itself reaching an apogee where we will be funtioning through reasoning taught via. artificial intelligence. The next world altering discovery is very close. The film has a dedication in the closing titles to Rhea Strong Fanning. On at Queens Film Theatre from Friday 1 September through to and including Thursday 14 September 2017. There are exceptions when there will be no screening on either Sunday 10, Tuesday 12, Wednesday 13. The 6.00pm screening on Mon 4 Sept will be followed by a Q&A with director Emer Reynolds. Mankind has come a long way. For more than two thousand years the sky has been laid out in a Planisphere of the heavens. The Planets names themselves speak to us in those radiant perpetual homilies stimulating inspiration beyond us. The sky is in mankinds eye a cast of astrological myths laid out in constellations. I have extracted (from The Witness of the Stars E.W.Bullinger) the interpretation given in the astrologers from Albumazer, Ulugh Beigh whose Arab astronomy laid out the principality taken on by Greek astronomers and more modern sciences. The Sign Leo. (The Lion) note. The Lion is a maternal animal. Messiahs consummated triumph. Here we come to the end of the circle. We began with Virgo,(1) and we end with Leo. Belfast one who has followed our interpretation can doubt that we have here the solving of the Riddle of the Sphinx. For its Head is Virgo and its Tail is Leo! In Leo we reach the end of the revelation as inspired in the word of God; and it is the end as written in Hea the heavens. Bailly (Astronomy) says, “The Zodiac must have first divided when the Sun at the first Summer solstice was in the first (degree) Virgo, where the woman mans head joins the Lions tail”. (1) Virgo. The Sign Virgo. (Coma as it is also called – is referred to in some texts as the coming of Jesus under the Star of Bethlehem.) The Promised Seed of the the woman. Here is the commencement of all prophecy in Gen. iii 15, spoken to the serpent :-” I will put enmity between thee and the woman, and between thy seed and her seed : it shall bruise thy head, and thou shall bruise His heel”” …….. it lies at the root of all the ancient traditions and mythologies, which are simply the perversion of corruption of primitive truth. Virgo is represented as a woman with a branch in her right hand , and some ears of corn in her left hand. Thus giving a two fold testimony of the Coming One. Everyone has a piece of the Stars and are in their own constellation. So it’s apparent the Stars as first seen and interpreted were based on quasi religious affiliation. With superstitious though nevertheless philosophically imaginative and therefore believable to the ‘faithful’ followers of Astronomy the guides are still with us as is the mystery.